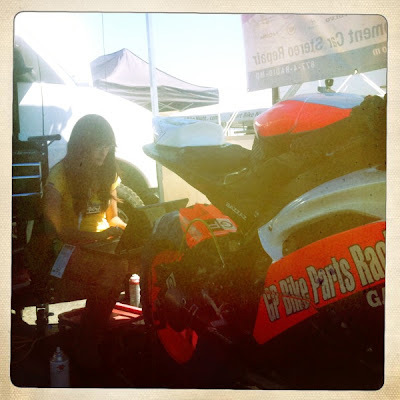 Still trying to recover from a long weekend at the motorcycle races in Monterey. 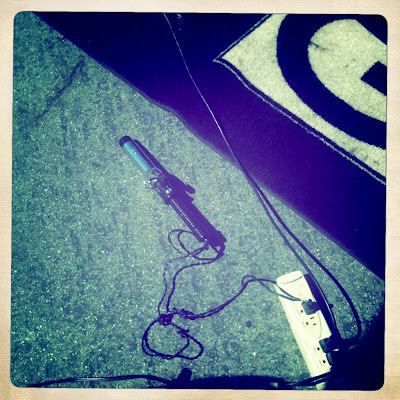 Bikes overload, it has been a while since I have willingly lived at the track for a couple of days, sleeping in a van, stealing power from tire warmers to heat my curling iron and such. It must admit though, it was sweet seeing my much missed race family. I packed two pairs of boots. 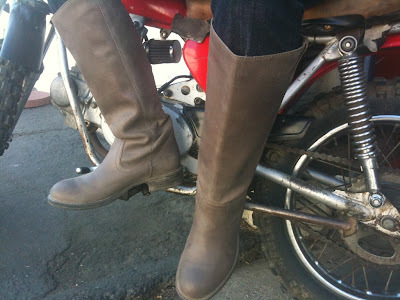 Us track-trekking gals need sturdy shoes to survive dirt, asphalt and the occasional two-wheel ride up hills. Laced or cowboy, I love me some boots. 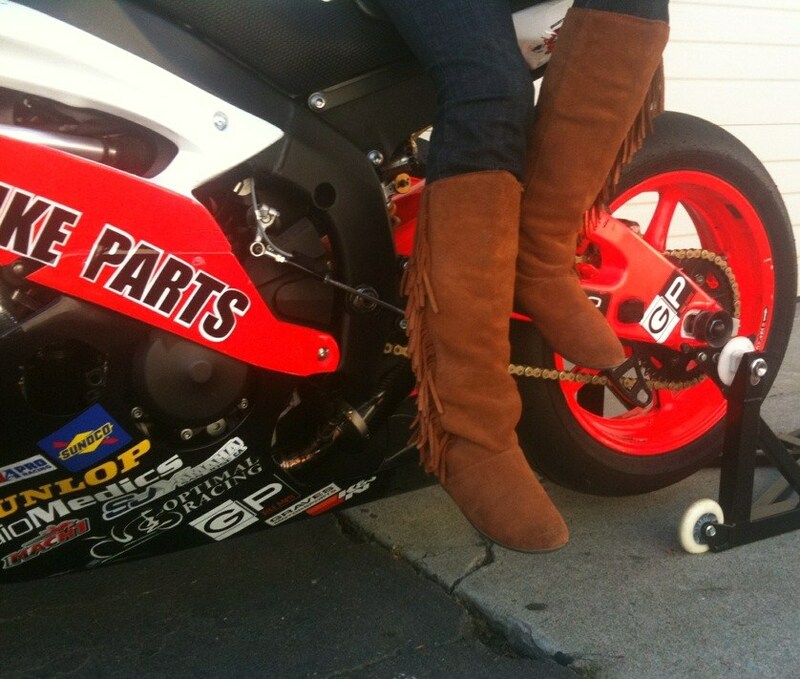 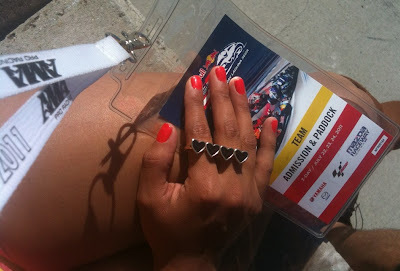 Unlike most moto weekends, I took a break from my moonlighting umbrella girl duties, but I still painted the track neon red with my nail polish and matching peep-toe pumps, that made limited appearances.